Our mission is to create a supportive and vibrant non-theist community in Eastern Iowa through secular education, community, and political activism and the promotion of reason, compassion, and critical thinking. Since the formation of our group we have maintained a strong focus on charity work, community projects, and activism. We work on a wide range of philanthropic endeavors including meals and donations for the homeless, science equipment funding for schools, and support for other regional secular groups. We advocate for issues that reflect our Humanist principles at events like PrideFest and we lend our voices to political protests. Our outreach and community support demonstrates the effectiveness of a secular moral foundation. 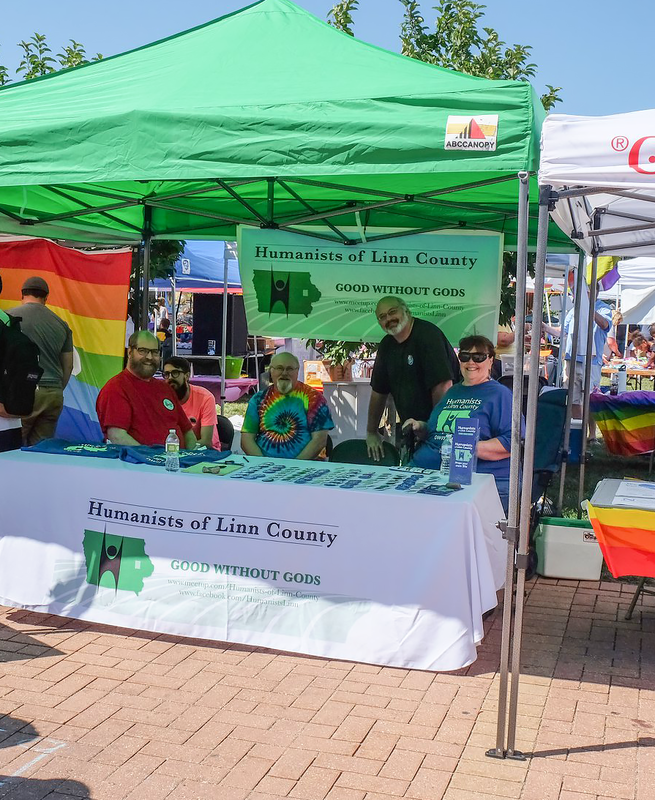 There are many ways that you can get involved with the Humanists of Linn County. You can meet with us in person, participate in our online communities, and even contribute your time and skills for our various charitable programs. Get together for some lively conversation and meaningful collaborations. We are a group built on real connections. Our Facebook page is a great way to stay plugged in to the secular community in Eastern Iowa. Join the conversation. Gain the benefits of being a paying member like a private discussion forum and voting rights at annual meetings.